I had lunch about a week ago with Pastor Mike, one of the co-pastors of our “new little church.” Mike is an insightful preacher, thoughtful person, encouraging soul and all-around great guy. But congregational ministry isn’t his day job, although it used to be. I don’t know all the details, but once upon a time Mike was pastoring a church and things went sour and he was forced out. A friend told him about a position nearby as a hospice chaplain, and he accepted that as his new vocation. He’s been a chaplain ever since, more than a decade now. About six years ago, he and Pastor Rebecca, who is, I think, a counselor by day, founded our new little church, where they take turns preaching, and keep a hand in pastoral ministry while drawing a paycheck somewhere else. I certainly see the appeal in that, and in some ways I think it’s actually good for the community to have relationships with pastoral leaders who are modeling involvement in good work in the world, and who are not going to be able to drop whatever they are doing at the drop of a hat to come visit a church member. It creates a different set of expectations. It’s also good, though, to know that Mike and Rebecca do what they do for the church out of the sheer joy and love of it, not because they get a salary from it. I had lunch with Mike because chaplaincy is one of the few jobs out there that I could conceivably go into where my education and experience would be seen as directly relevant assets. I took a course in healthcare ministry when I was in grad school that involved a lot of visiting sick patients at a hospital, but I didn’t pursue that path long enough to get a completely clear sense of the rhythms of life in a chaplaincy career. Mike was enormously helpful in giving me the lay of the land. On the topic of our mutual departures from full-time congregational work, Mike mentioned the book Clergy Killers, which he said includes the statistic that 30% of ministers will be terminated or otherwise forced out of a ministry posting at some point in their careers. 30%! That’s a pretty sobering statistic. I’ve seen citations in other places about extreme rates of burn-out and depression among ministers. According to some researchers, 70% of ministers are struggling with depression at any given time. It’s a good thing that ministry has such a deep appeal in other ways, because it if became widely known that your average ministry job is going to require 90 hours of seminary, pay far less than your would get doing almost anything else with that much training, and come with a 70% chance of depression or burnout and a one in three chance of getting canned at some point, we’d have a hard time keeping the pulpits filled–even harder than we do now. The other thing that interested me about Mike was that he was raised Methodist and is now in the Disciples of Christ. 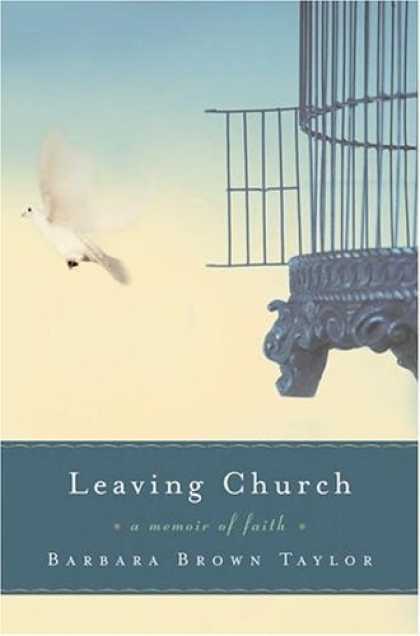 That probably doesn’t seem like a strange thing to most of you reading this–and it doesn’t to me, either, anymore, but in all my time in the Churches of Christ, I only heard of a handful of people who left C of C ministry to go to a different denomination–and I never heard of anyone who did the opposite journey. For a long time, I had a sense that denomination switching was something that was virtually unknown. But then when I started attending ministerial association meetings, it turned out that almost every pastor I met had made a denomination change at some point. Some of them spent their seminary years finding the right match; others started down a career in a certain network and realized it wasn’t for them a bit down the road. None of them seemed to think that switching was a terribly difficult thing to do, logistically or emotionally. Part of why Churches of Christ are different, I think, is our own sectarian past. We just haven’t played very well with others, and the rest of Christendom can seem like a very different world. For a lot of the major Protestant groups, though, they are used to associating with and respecting leaders in other folds. It’s just not that big a chasm. Which is to say, I’m realizing that I had made a denomination change out to be a bigger thing than it really has to be. The doors are open out there, if I want to walk through. Or myriad other ways to contribute to the restoration of the world. So, my family and I are going through some really interesting transitions at the moment, and people ask how we are doing. That’s a question I have a hard time answering quickly. Admittedly, there are some negative aspects to being unemployed during the worst economic downturn since the 30’s. I’ve applied for any job that looked remotely promising (and you know, I think I might have really enjoyed being a police dispatcher!) but there doesn’t seem any demand for ex-preachers in non-preaching positions. And it’s not just me–my wife, a teacher, has been told that her position won’t exist next year, and that there likely won’t be any open positions in the entire county. Liminality (from the Latin word līmen, meaning “a threshold”) is a psychological, neurological, or metaphysical subjective, conscious state of being on the “threshold” of or between two different existential planes, as defined in neurological psychology (a “liminal state”) and in the anthropological theories of ritual by such writers as Arnold van Gennep, Victor Turner, and others. In the anthropological theories, a ritual, especially a rite of passage, involves some change to the participants, especially their social status. The liminal state is characterized by ambiguity, openness, and indeterminacy. One’s sense of identity dissolves to some extent, bringing about disorientation. Liminality is a period of transition where normal limits to thought, self-understanding, and behavior are relaxed – a situation which can lead to new perspectives. We can’t go back. There’s no “there” there anymore. We have to push ahead into the unknown. I don’t have the faintest idea where we’ll be living in three months. I don’t know what jobs we’ll have, if any. My normal limits are as relaxed as possible. We could go anywhere and do anything. I can’t think of a time in my life so full of possibilities. We are about to learn a lot. We are going to look back on 2010 as the year that everything changed. It could be the year that I moved into a line of work I never thought that I would do. It could be the year that we become Lutherans. It could be the year where, out of sheer desperation, we move in with family members for months at a time and do whatever odd jobs we can pick up. It could be the year that I follow in my little brother’s footsteps and become a cop. It could be the year that we move the kids to China where and teach conversational English to college students. Anything is possible. All options are on the table. Now, how many people get to say at age 38, with two kids in tow, that anything at all could happen this year? Would we have ever willingly given up comfort and security if there were any other option? Probably not. But now we are completely free–free to go anywhere and accept any opportunity. Free to learn about poverty firsthand, maybe. Free to accept help from old friends. Free to rest in silent prayer. From to be re-created into a new kind of people. I used to have a practice, when I moved to a new city, of driving aimlessly until I was completely lost, and then driving again until I found my way back to my new home. I did that when I moved to the small city of Abilene, Tx, and I did it when I moved to the metropolis of Houston. Being lost and looking for landmarks makes you keenly aware of your surroundings, and often I discovered that I wound up knowing my new city better than people who had lived there for years and were never desperate enough to start paying close attention to what surrounded them. I’m paying close attention to everything right now. I’m currently lost in Life, and looking for signs that might lead to a place to stay for a while. I feel sharper, fresher, younger than I have in a long time. No more living life by default. This is the year of unbound possibilities, in an uncharted land. To me, there is no other sensible or faithful position to take. What is one to do but move ahead in hope? Sometimes we think the palpable weirdness of the New Testament is a function of gaping chasms of linguistic and cultural difference that must be crossed when reading an ancient document from another part of the world. And sometimes that’s true. But even in his own day and age, Jesus was a weirdo. I can’t imagine that anyone else who intended to start a new global movement would do it this way–send people out into the world resourceless and vulnerable, looking for a friendly home to take them in so they could spread their message of the kingdom. Churches today–at least, the ones I know anything about–do almost the opposite. Rather than walk through the world empty-handed, looking for places where the Spirit is already at work, our impulse is to show the world how much we can offer it. “Exciting Youth Program! Upbeat Worship! Relevant Preaching!” I remember getting a advertisement in the mail for one congregation’s Easter service. Six different times it mentioned that the Easter bunny would be there in person to meet the kids who came to the egg hunt. Not once did it mention that Easter was a celebration of the resurrection of Jesus. In fact, the words Jesus or Christ didn’t appear anywhere in the ad. And this wasn’t one of the flaky “Best Life Now” temples to personal success. It was a fairly well-grounded congregation that I had attended for a couple of years. But their idea of reaching the world, at least on that day, involved a volunteer in a bunny suit and a proclamation of the good news of free eggs and prizes. The rebuttal I usually hear when I get all cranky and reactionary about this stuff is that we are supposed to do Nice Things for Our Neighbors and, anyway, Once We Get Them in the Door, We Will Tell Them the Gospel. This is where I’m kind of simple-minded. I think we ought to do Jesusy things in Jesusy ways. If you can honestly picture Jesus spreading the word that his new movement will have “Well Staffed Nurseries!” and “Beautiful Worship Spaces!” and “Your Kids Can Meet Astarte Herself During the Spring Fertility Rituals!” then go for it, I guess, but that’s not the vibe I get from him in the gospels. It looks to me like a bunch of us are deciding that the world doesn’t want what we actually have to offer, so we’ll give them what we think they do want, and kind of see what happens from there. Maybe everyone is in agreement that the pastor they interviewed on the Daily Show, who tries to win converts through Ultimate Fighting, has gone off the deep end, but I think of him as a kind of living reductio ad absurdum argument against evangelism that relies on the power of clever marketing rather than the power of the spirit working through our resourcelessness and poverty. Once you decide that you are going to offer the teeming crowds what they want in order to get them inside, you may as well notice that some of them really want Ultimate Fighting, so what’s the harm? I think it would be an interesting learning experience for a church to try to recreate some of these gospel scenes as closely as possible. What if we agreed that one Saturday morning we would put on simple clothing, leave our wallet and keys at home, and walk out into the world looking for a place where God is working, praying for open eyes that will let us see where we can join in, and praying also for hospitable strangers who will welcome us? Yeah, I know–do I want people to think we’re a bunch of weirdos? *In fact, I probably blogged it before, but it’s on my mind again and I’m not going to let redundancy slow me down. The internet isn’t running out of pixels. Since we are both intuitive types, we do not decide things as much as we gravitate toward them. This is not very theological language, I know, but on the subject of divine guidance I side with Susan B. Anthony. “I distrust those people who know so well what God wants them to do,” she once said, “because I notice it always coincides with their own desires.” Having been somewhat of an expert on the sanctification of my own desires, I try not to pin them on God anymore. At the same time, I recognize the enormous energy in them, which strikes me as something God might be able to use. When I read the stories in the Bible about people such as Sarah, Jacob, or David, what stands out is not their virtue but their very strong wants. Sarah wanted her son to prevail over Hagar’s son, Jacob wanted his older brother’s blessing, and David wanted Bathsheba. While these cravings clearly brought them all kinds of well-deserved trouble, they also kept these characters very, very alive. Their desires propelled them in ways God could use, better than God could use those who never colored outside the lines. Based on their example, I decided to take responsibility for what I wanted and to trust God to take it from there. So, if you’ve been tracking this blog the last couple of days, you’ve got a pretty good idea about why I think I’m done with Churches of Christ. But suppose I find some church that’s all about justice and equality, where I fit right in theologically and they have a strong respect for the ordained clergy. Then I’m happy and all is good and I can just continue on in my ministry career, right? But the other aspect of all of this stuff is that I’m increasingly drawn to a missional paradigm in which the church is sent out into the world to bless it, and I am drawn to go out into the world as God’s ambassador, with this message of reconcilation. (2 Cor 5.) And by that I do not mean street preaching or established inner city mission work–I mean finding some kind of meaningful labor that makes a positive contribution to society** and that allows me to form relationships with people outside the Kingdom so that I can demonstrate the love of Jesus by loving them. In contrast, I have lost interest in the kind of ministry that measures success in terms of the Three B’s of Church Life: buildings, budgets and butts in the pews. A church that thinks they are succeeding in God’s mission solely on the evidence of increased membership is no longer enough to drive me. Although increased membership is well and good, my own criterion for success is the increased involvement of the saints in God’s work of justice and reconciliation. I can’t be at a church that raises money to give their own kids a playground and then puts up a fence to keep neighborhood kids out. That just seems backward to me. *** I don’t want to be the person designated to drop in on folks who have been Christians for 40 years to see how they are doing and if there is some way I can “meet their felt needs” or make them happy. I expect that mature Christians have learned how to minister to one another, and desire to follow Christ into society to minister to others. I certainly want to be available to church members in need of special care, but I also think that my job should be to encourage a culture of mutual ministry–and that mutual ministry should reach outward to embrace the stranger. Now it might very well be that the truth is I just don’t want to be a pastor anymore, because the things that I am draw to are such a small part of the job, and the things that drain me such a big part of it. I’m trying to figure that out. But maybe there are churches out there who want someone to help them learn to be ministers to the world, not someone who is hired just to minister to them. I don’t know. I have to say though, when you read through the gospels, it seems like Jesus is always bumping up against an entrenched, inward-looking, closed-off religious tradition with such a small vision of who God is and such a limited desire to be a source of blessing that the people who invoke the name of the Lord the most turn out to be the same people who are consistently hindering his will. If your desire is to be a radical Jesus-follower, going where he went and doing what he did, I almost wonder if you wind up having to give up the institutional church to do that–or at least give up positions of leadership. I really bet there is some good ministry that can be done while manning the Frialator. One big disclaimer–I’m really talking here about my journey with God and my Spirit-given gifts and desires. Most of my close friends are ministers, and if they are able to do meaningful work and follow Jesus in that setting, I wouldn’t begin to second-guess that. I’m just going through a major discernment process of my own path right now. * That is, by the way, what that thing is actually called. I only know that because I was in a fast food joint one day and made some reference to the dude working the Frialator, which is a term I thought I was making up, but then I glanced at the machine, and burst out laughing when I saw the label. I only hope that helps me out on Jeopardy someday. ** Like crafting the most delicious French Fries ever! *** Yes, I understand concerns about injuries and legal liability. So don’t build the playground–send your kids to the public park where they can be salt and light in the world.